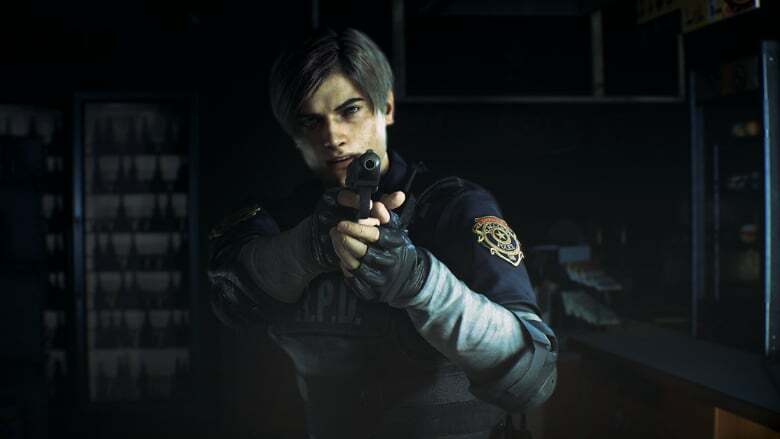 Resident Evil 2 Remake Review (2019) | Nerd Much? Resident Evil is perhaps the most iconic horror franchise in video games. Spanning over 20 years, this series helped kickstart the survival horror genre and introduced some truly terrifying creatures. Now, developer and publisher Capcom are looking to bring an old classic to a new generation with the remake of Resident Evil 2. For the unfamiliar, Resident Evil 2 is the direct sequel to the original Resident Evil, which revolved around a zombie outbreak in a large mansion. With the hordes of undead now flooding the streets of fictional metropolis Racoon City, users are tasked with simply trying to escape the nightmare. Players can assume the role as either rookie police officer Leon Kennedy or motorcycle enthusiast Claire Redfield. Deciding who you play as will alter how Resident Evil 2’s story unfolds. Outside of having different weapons, both protagonists visit unique locations both in and around the Racoon City Police Department. 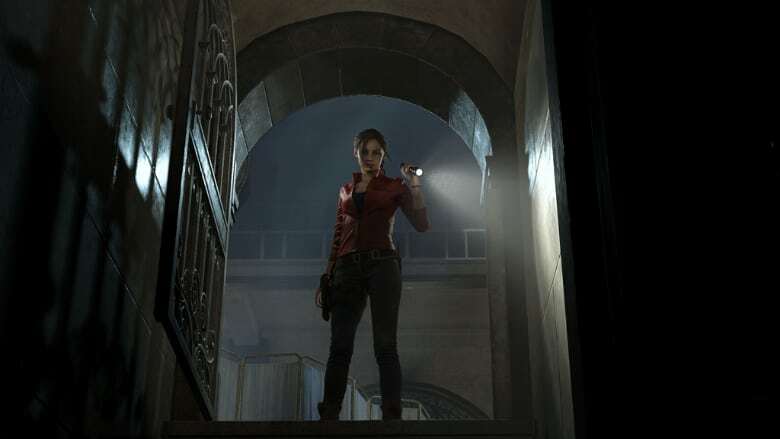 Claire gets to explore an abandoned orphanage and Leon rummages through Raccoon City’s grimy sewers. While these are not drastic changes, it does help keep repeat playthroughs from feeling stale. Whether it’s through different enemy placements or unique items, Resident Evil 2 consistently found a way to keep me on my toes. B stories – now dubbed “2nd Runs” – make their return as well. Once the credits roll on the main campaign, players can experience the other side of the story as whichever protagonist they did not initially select. These 2nd Runs ran a bit shorter but filled in the essential gaps that the core story doesn’t address. The biggest difference is the level of difficulty, as the 2nd Runs proved to be much more of a challenge. Foes that were originally introduced at a moderate pace in the first playthrough now pop up without warning. Even though this makes both alternate runs exciting, they can also prove to be pretty frustrating – especially early on. In fact, this is the only major problem with Resident Evil 2 as it’s absurdly punishing and has some notable difficulty spikes. Some of this has to do with the adaptive difficulty, which makes the undead more aggressive and resilient the better you do. While this is a nice way to ensure a player cannot stockpile supplies, it can make fighting the undead an inconsistent experience. On numerous occasions I ended up dumping several rounds into the head of a zombie, only to have it get back up and start chasing me again. Yes, it gives Resident Evil 2 a constant air of suspense, but when ammo is so finite having the game actively punish you for being a good shot is obnoxious. Thankfully, killing the infected is so satisfying that these occasional increases in difficulty can easily be overlooked. Zombies are more terrifying and menacing than ever. Their ability to grapple the player unless they’re carrying a grenade or knife makes slipping by them tricky. Sometimes, zombies will try and pass as corpses on the ground, only to spring to unlife when someone gets close. These ghouls also show the damage they’ve taken in real time, allowing players to see knife marks, gunshot wounds, or burns. It’s a nice touch that really sells the resilience of these monsters and makes that perfect, head exploding gunshot a cheer-worthy moment. Other mutants such as the famed Lickers make their return, which can prove to be quite tricky. The catch is that Lickers are blind, so a very patient player can slip by unnoticed or use a Flashbang to throw off their senses. Outside of these and a few others, there’s a surprising lack of enemy variety in the game. Some monsters from the 1998 version don’t make the transition, which will certainly be disappointing for longtime fans. However, the collection of monsters in the remake are handled with all of them possessing their own strengths and weakness for players to decipher. Bosses such as Tyrant and an infected William Birkin return in a big way. Outside of normal boss fights, Tyrant will occasionally stalk the player throughout the level and can only be stunned for a couple of minutes. 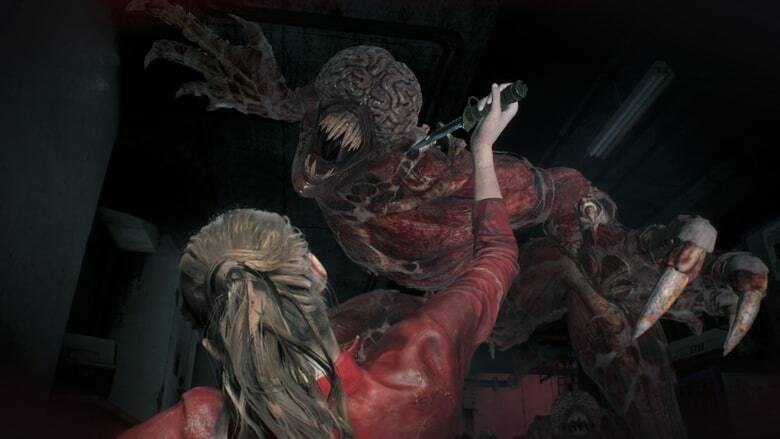 No matter what you do this behemoth won’t go down permanently and the threat of him popping up creates some of Resident Evil 2’s tensest moments. Birkin serves as a more traditional boss which is fine, but a bit disappointing given how simple every encounter is. 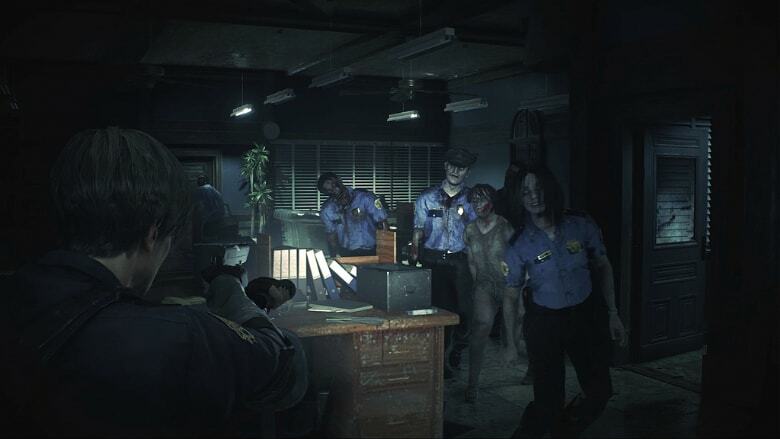 To kill these monstrosities, Resident Evil 2 gives players a mini-arsenal that is tied to either Leon or Claire. The former gets a shotgun, flamethrower, and two different pistols, with the latter obtaining a revolver, submachine gun, grenade launcher, and electrical gun. Health items can be crafted by combining a variety of lifesaving herbs together and some weapons boast multiple ammo types. Puzzles also return and range from simply combination locks to decoding riddles. Many are pretty easy to solve with some simple detective work, but their inclusion is appreciated. There is also unlockable concept art, 3D models, and costumes for the two main characters. Last Survivor mode makes a return and asks players to escape from Racoon City as Umbrella Enforcer, Hunk. Visually, Resident Evil 2 is nightmarish in the best ways. Sacrificing scale for detail, Capcom has brought the Racoon City Police Department and subsequent areas to life. There are a ton of tiny details scattered throughout that harken back to the original. Monsters are terrifyingly rendered and the sound design is top notch. The RCPD groans as the wind batters against it and the thunderous footsteps of the Tyrant will send a chill down anyone’s spine. Character models have all been updated and it’s some of the best facial features in a Resident Evil game. Voicework is generally solid and Capcom has done a terrific job at adding depth to both protagonists. Ada Wong, Police Chief Irons, Sherry Birkin, and more make a return with mixed results. None of them are especially bad, but Ada Wong’s cryptic nature is not nearly as endearing as her 1998 version. Resident Evil 2 is a masterclass in how to remake a classic video game. The shift in perspective and updated world make this feel like more than just a prettier port. 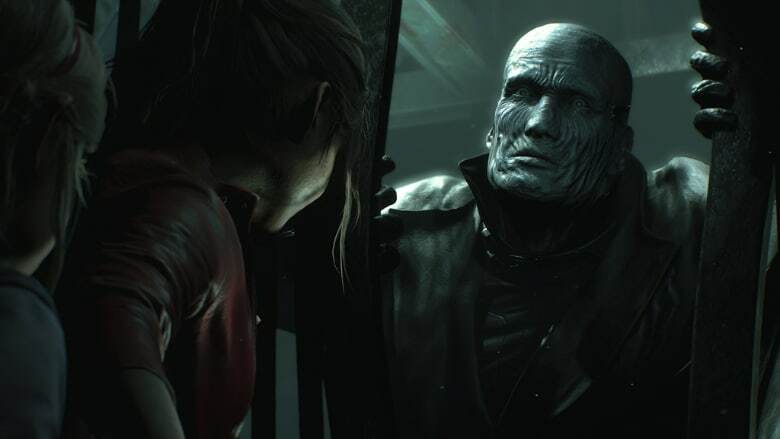 Despite the scarce difficulty spikes and smaller enemy variety, Resident Evil 2 is one of the best horror games in years. It strikes a fantastic balance of combat, exploration, and puzzle solving while maintaining a frightening atmosphere. Capcom’s ability to deliver a fresh experience while still paying its respects to the original should be commended.